It’s no secret that social media has become an important and necessary digital marketing tactic, giving brands the opportunity to create meaningful connections with their desired audience. But as most brands have found, the secret to social success isn’t achieved with a simple click of the heels. Most often, the road to success is long and winding, requiring smarts, courage and heart to drive your message home to your audience. 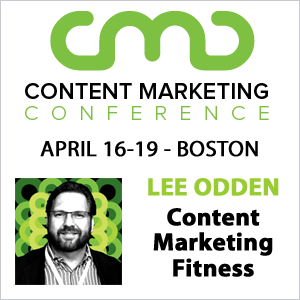 Of course, many marketers experience a few wicked hiccups along the way—all of witch require creative and holistic solutions. The good news is that you can always look north to find colorful and creative inspiration from talented marketing sorcerers—like the intelligent, witty and tenacious Beverly Jackson, Vice President of Social Portfolio Strategy for MGM Resorts International. 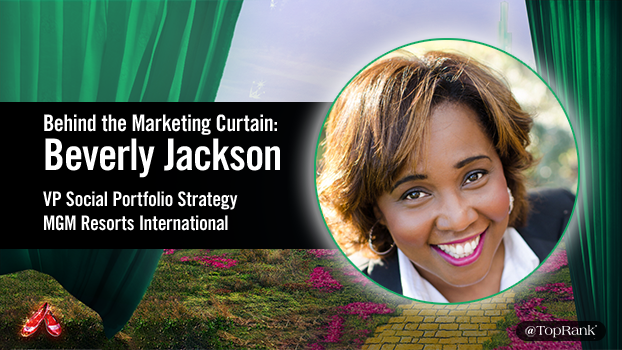 As part of our Wizard of Oz-inspired Behind the Marketing Curtain interview series, today we’ll pull back the fabric and get to know more about how Ms. Jackson arrived in the wonderful world of marketing, and share insights that can help you navigate new lands, improve your social media strategy, and drive business value in the changing social landscape. Beverly is a child of the Midwest, growing up in Chicago. But while the rest of the neighborhood kids were outside playing and running around, Beverly was inside with her eyes glued to the television—watching the news. With her passion for news and politics in tow, after high school Beverly headed to Washington D.C. to attend Howard University. “I thought I would become either a television journalist or a justice on the supreme court one day,” she recalled nostalgically. After completing her bachelor’s of science in marketing, Beverly launched her career. But not in marketing, but in environmental policy. “Most people pick up my career in the late-1990s when I got my first job in advertising, but I had a long career doing environmental work before that,” she said. After working for a handful of different environmental firms, Beverly went on to get her master’s degree in public administration. “I wanted to keep doing my environmental work and save the planet,” she said. So, after years of environmental work, how did Beverly become the marketer she is today? Keep reading. By the late-1990s, Beverly had built a successful career in the environmental space. But while working on a project in Alaska, a figurative twister rolled through. When Beverly recovered, she enrolled in a Women’s Extension Program, taking a series of personal interest and career assessments to learn where to go next. One of the assessments she took was the Myers-Briggs Type Indicator (MBTI), which revealed that she was an ENTP (extroversion, intuition, thinking, perception) personality type—a category that only 2-5% of the population falls into. Her first advertising position was with J. Walter Thompson, where she played a role in developing interactive advertising tools in the early days of digital. Since then, she’s worked for Interactive Search, Octagon Worldwide, The Recording Academy and Yahoo!. Today, she’s based in Las Vegas heading up content and social media strategy for MGM Resorts International. Much like the companionship Dorothy found in the Scarecrow, Cowardly Lion and Tinman, every marketer’s career journey is impacted by people who lend support and words of encouragement, and enable us to achieve our goals. For Beverly, her Scarecrow is Evan Greene, The Recording Academy’s Chief Marketing Officer. “Evan was always there to be my and my team’s advocate. He trusted my intellect and skills, and he believed in me,” she said. Her Tinman, is John Reese, who was her boss and the president of Interactive Search. Finally, her Cowardly Lion is Larry Vincent, who was her boss at Octagon Worldwide. At TopRank Marketing we believe in taking a smart, creative and results-focused approach in everything we do for our clients, as well as our own personal growth. Beverly is someone who certainly exemplifies these qualities in her work as a social media marketing wizard, being a source of insight and inspiration in the field. So without further ado, let’s dive into Beverly’s tips for better social media marketing. Good witch or bad witch? What’s one bad social media marketing habit marketers should drop? Too much self-promotion. I look around social media and there are so many people labeling themselves as marketing “ninjas” or “gurus”—and using the brand they work for to propel their own personal brand or fame. But for me, that’s just getting in the way of your brand’s story—and it can backfire. The great thing about social media is that it allows brands to create one-on-one relationships with their customers and prospects—not the marketers. And the bottom line is: marketers should never get in the way of that relationship. Let’s face it. Most brand marketers are not tasked with being a brand evangelist or ambassador. Usually, it’s their job to work behind the scenes to tell the brand’s story. So really, what you do on your own personal channels is what you do. And it’s OK to represent your brand there. But try taking yourself out of the equation. Try not to become a team of one. Otherwise, you won’t be impactful, and you won’t be able to scale marketing solutions. Dorothy’s ruby slippers were the key to achieving her end goal of returning home. What are a few tools you believe are key for social media marketing success? No. 1 – A measurement tool. You need a tool to measure how effective your social communications are. My tools of choice are Sprinklr or Spredfast. They both function at scale, and the companies put a lot of time into research and development. Some other useful tools out there are SocialFlow and Hootsuite. No. 2 – An analytics tool. You need to be able to measure the impact your efforts are having on your business. I love TrackMaven for pulling out specific insights on how I’m doing against my competition, as well as how social efforts are stacking up against other marketing channels. Of course, Google Analytics or another preferred analytics tool are a must, too. No. 3 – A multi-channel publishing and management tool. When you’re spreading your message across different channels and their respective audiences, you need a tool that allows you to publish and customize content to each of your channels. Again, my favorite tools for this are Sprinklr and Spredfast. No. 4 – Image and video creation tools. Compelling visuals are so important from an engagement and a retention standpoint. Choose something that is scalable to your needs and budget—whether it’s a mobile app or an enterprise solution. One tool I love is Flixel—it creates moving pictures that are incredibly immersive and creative. No. 5 – A team communications tool. Communication between team members is crucial. And if you have team members who are always on the move, sometimes you can’t catch them by phone and email isn’t fast enough. We use Slack to stay in touch, and share things in small bursts. No. 6 – A “go-pack” with tools and resources to create content on the go. If you want to lead your followers on an experiential journey, you need to be able to grab stories in real-time and serve them up in snackable sizes. Everyone on our team has access to a variety of tools such as SLR cameras, tripods, mics and lighting kits so they can pick up what they need and get into the field quickly. All the stuff you’ve planned for is locked and loaded. But we all know that some of the best content is created in the moment. It’s the icing on the cake. No. 7 – A kill switch. Any well-run social media marketing program needs to have a protocol in place that allows you to stop what you’re doing. For example, we’re in the hospitality industry, in a hospitality city. Our brand and messaging is fun, aspirational and designed to showcase an experience—and the last thing you want to be is tone deaf when a tragedy happens. When the Paris attacks and the Orlando nightclub tragedy happened, we deployed our kill switch. We stopped talking. We stopped selling. It would have been inappropriate to be spreading our message, when so many people were in turmoil. That’s a horse of a different color. What creative tactics can marketers use to create an engaging user experience on social platforms? Show don’t tell. In order to create an engaging user experience on social platforms, you need to be able to show users something from their perspective not yours. You need to be able to reach into their heart, put your fingers around it and feel the pulse beat. And video, when done right, can do just that. We do a lot of video here. We’ve done short and sweet, and big, long and epic. Our brand is all about positioning entertainment as a fundamental human need. But we can’t just tell people this, we need to show them—and you need to be authentic. When you’re more flexible, you’re more willing to take risks. You’re willing to stretch your budget. You’re willing to allocate more resources. And you’re willing to step outside the prescribed way of doing things and do the amazing. I’d like to sincerely thank Beverly for taking the time to open up about who she is, where she comes from and how she approaches social media and content strategy. Thank you, Beverly. Of course, TopRank Marketing’s journey to Emerald City is just getting started. In the coming months, we’ll be bringing you more exclusive interviews and insights from industry wizards to add some smarts, heart and nerve to your marketing efforts. Great insights from @bevjack – Always learn something from this great woman. You’re so right. She’s fantastic. Thanks for reading!